We are engaged in offering Cylinder Jacks that are manufactured using cylinder tubes and from cold drawn seamless tubes. These are extensively used in various industries like hydro and thermal power plants, railways and defense. Our range of Cylinder Jacks is considered ideal for engineering applications such as construction equipment, machine tools and earth moving equipment & is also known for its quality, reliability and performance. 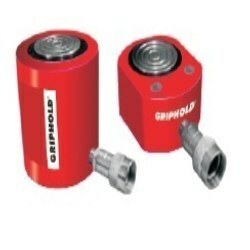 Globally recognized for performance, efficiency and reliability, Griphold offers its clients the complete range of superior quality lock nut cylinders and jacks for varied applications in different industries. The lock nut series of our cylinders and jacks are Lock Nut Cylinders and Jacks especially designed for heavy duty operations and are available at the most reasonable prices. In addition we also offer customized solution depending upon the specific requirements of our clients. 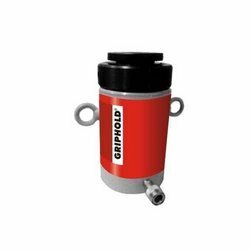 Globally recognized for performance, efficiency and reliability, Griphold offers its clients the most dynamic series of Hydraulic Cylinders and Jacks for varied applications in different industries. Our hydraulic cylinders and jacks are especially designed keeping in mind the convenience of end users and are available at the most reasonable prices. In addition we also offer customized solution depending upon the specific requirements of our clients. 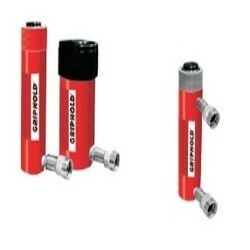 We offer especially designed Aluminum Hydraulic Cylinders and Jacks, which are light in weight as compared to their classic counterparts but have additional features as well, like compact design, robust structure, easy to handle and above all it is easy to be taken anywhere meaning easy portability. A number of variations of this design exist for different applications in different industries. 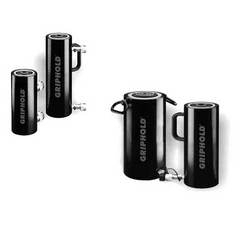 The Low Height Cylinders and Jacks are available in two different series GRSM & GRCS which are used in the limited space. Looking for Cylinders Jacks ?